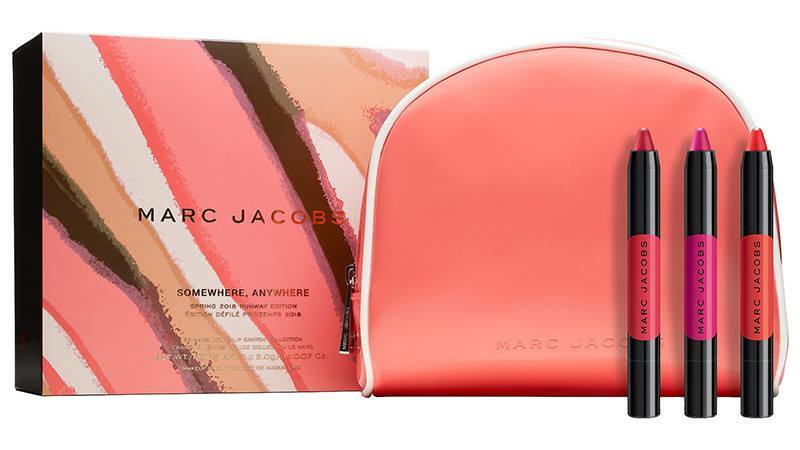 Marc Jacobs Beauty Runway Edition Collection comes with three sets that will help you recreate the signature looks straight from Marc Jacobs’s Spring 2018 Runway Show. Take a closer look bellow as these are limited edition and online exclusive! 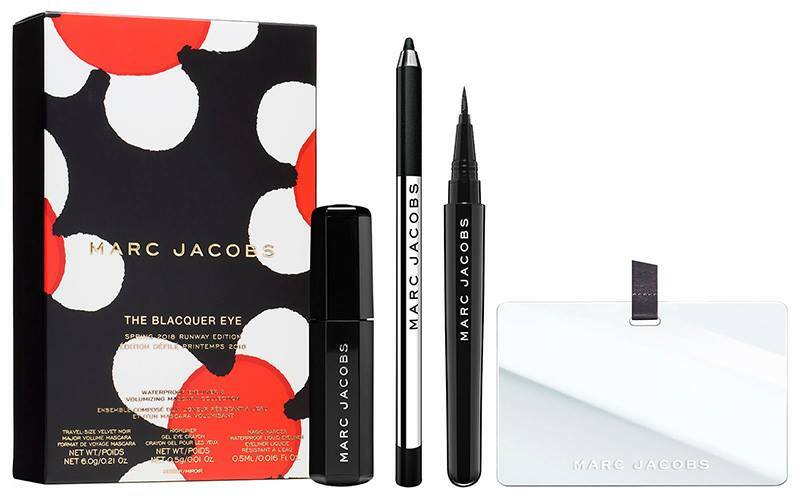 This limited-edition eye collection allows you to recreate the signature eye look straight from Marc Jacobs’s Spring 2018 runway show. With eight variations on a bold cat eye, The Blacquer Eye was created to fit each model’s unique look. Draw your desired liner wing with the award-winning Highliner Gel Eye Crayon. 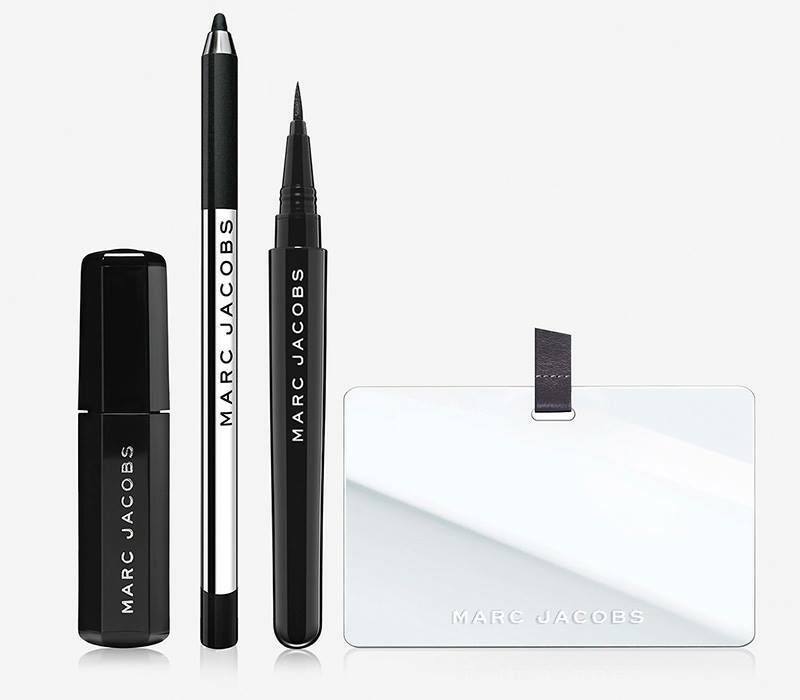 Layer Magic Marc’er Waterproof Liquid Eyeliner on top to lock it in place. Complete the look and pile on the lashes with Velvet Noir Major Volume Mascara. Each liner comes in the shade Blacquer—the shiniest, blackest black—and can be used alone or layered together to create any look you want. 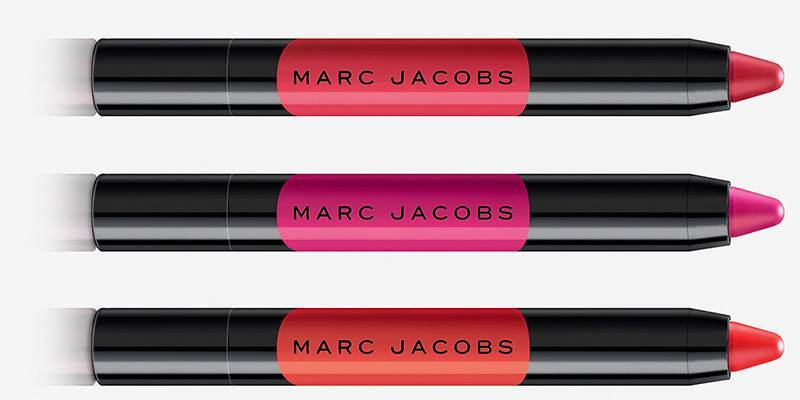 This limited-edition trio of the bestselling Le Marc Liquid Lip Crayons—plus a never-before-seen bright coral shade—is inspired by the Marc Jacobs Spring 2018 runway. The creamy crayons melt into lips with a lightweight liquid sensation, providing powerful, one-swipe color with bold impact. Each shade features unique “ghost pearl” for a matte look with a dimensional sheen. With the perfect amount of playtime, you get the best of both worlds: instant color that lasts for up to 16 luxurious hours of long-wear. 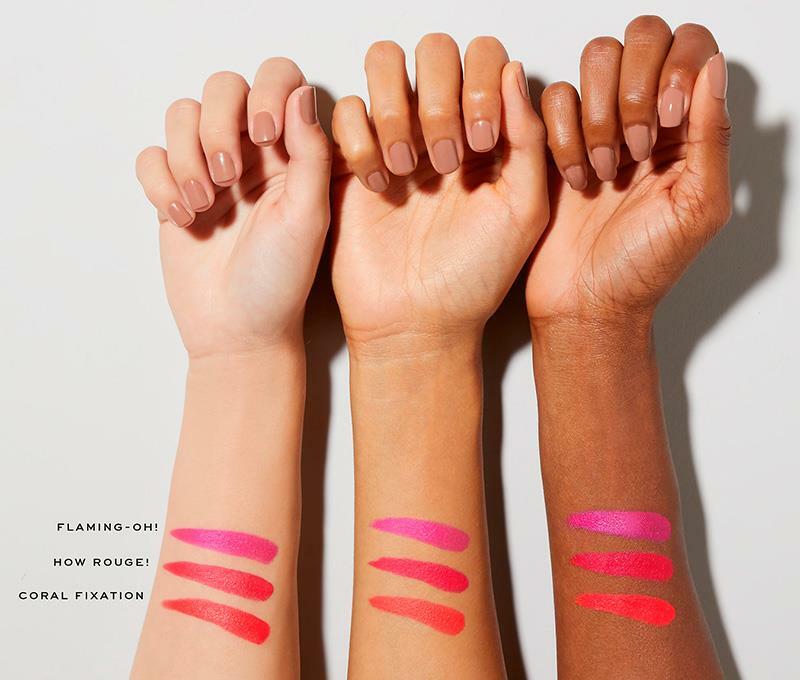 The bold, high-pigment shades feel creamy and comfortable, and they won’t dry or settle into lines. The crayons offer total control for effortless application. It’s easier than ever to shape and fill your lips with the shades of the season. 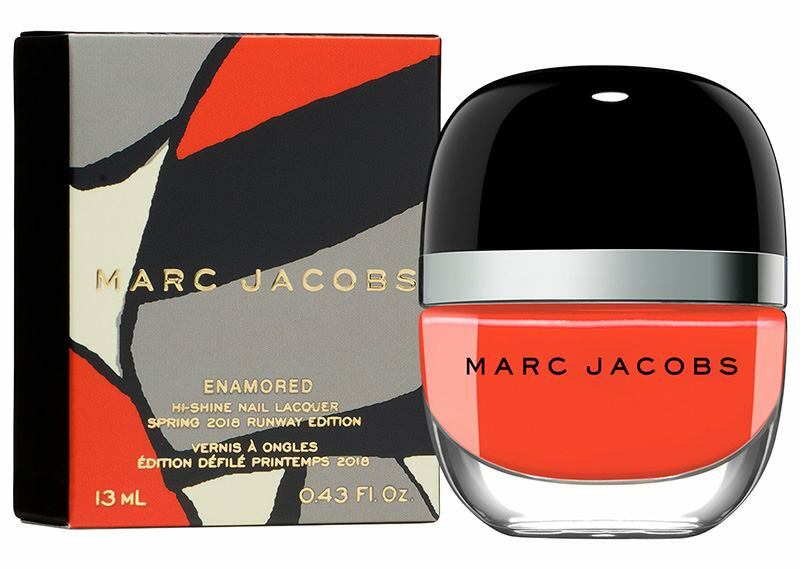 These super-limited-edition shades of Enamored Hi-Shine Nail Lacquer nail polish were created for and worn on the Marc Jacobs Spring 2018 runway. Embrace the shades of the season in Fantastic, a bright poppy orange, and Glow Business, a soft, peachy pink. Every stroke of Enamored nail polish delivers a wet look and plasticized finish that lasts for extreme wear.